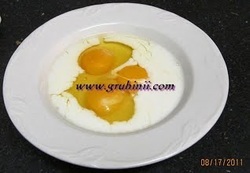 Take a bowl and beat eggs, milk and salt. Heat butter in a nonstick pan. Make sure its not too hot. 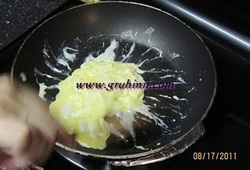 Pour the egg mixture.